Combine a stainless steel soleplate with an ultra-modern green colour design and a powerful crease boost in the Mellerware Celcius iron. 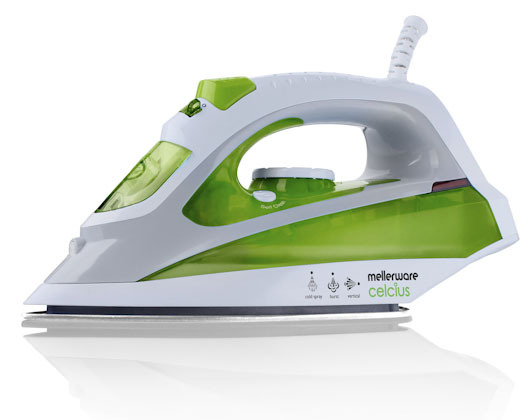 The Celcius has a 300ml tank, giving you a longer ironing time & self-cleaning will increase the lifespan of your Celcius. It has variable temperature control with dry, steam burst, vertical steam and spray features. Dry / steam / spray function.